What is CMI? Proverbs 27:10 "...Better is a neighbor who is near than a brother who is far away." We seek to be that nearby neighbor for all Milwaukee-area college students. CLC sponsors two local CMI chapters – CMI Milwaukee “The Way” at UW-Milwaukee and Collide CMI at MATC’s downtown campus. Our purpose is to connect students of like faith with each other, while reaching out to those who are searching for God’s plan and purpose for their lives. We seek to help students grow in their personal relationship with Jesus Christ as we train, disciple and empower them in preparation for lifelong involvement in ministry and service in God’s kingdom. Where and when does CMI meet? CMI Milwaukee “The Way” meets during the spring and fall semesters on Tuesdays at 7pm in the Student Union on the University of Wisconsin-Milwaukee campus. 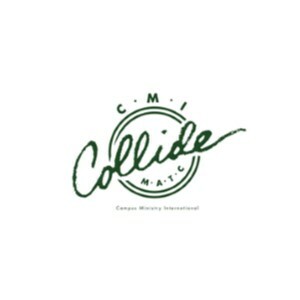 Collide CMI meets on Mondays at 3pm on MATC’s downtown campus. Meetings consist of worship services, bible studies, game nights and always include free food for students. We also meet for individual bible studies whenever convenient and we occasionally join other local young adult and college groups for inspiring and fun events off-campus as well. Who can attend CMI Milwaukee? Even though CMI chapters are geared towards college students at UWM and MATC they’re open to all students and young adults (non-students) in the Metro-Milwaukee area or anyone who has a desire to reach and minister to college students. Family and friends of students are more than welcome and encouraged to attend as well. Who leads CMI Milwaukee? 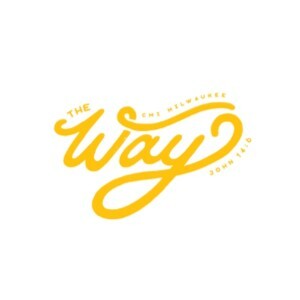 CMI Milwaukee “The Way” is led by Nathaniel and Rebecca Peterson, who also lead the Hyphen Young Adults ministry at CLC. Nate graduated from UWM in 2002 and Becka graduated from Alverno College in 2012 and they conveniently live 1-block from UWM. Collide CMI is led by Vinnie Sisavangone who also leads the Singles ministry at CLC and is a current nursing student at MATC!